Expand search to view more listings in and around Bryan. See more offices in and around Bryan. Here at Offices.net we have 1 Bryan office available now for immediate occupation, with flexible rental terms. 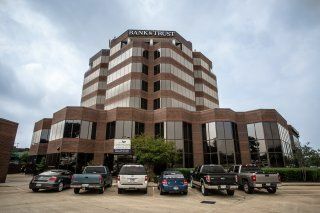 Many of our offices offer simple, short term and flexible rental agreements, meaning that your company can gain the benefits of a wide range of services and a prestigious business address in Bryan, with a rental agreement that is tailored to your needs. Offices.net offers businesses of any size a simple, quick and affordable way to rent temporary office space in Bryan. Numerous office buildings we list have services like manned receptions, fast internet connectivity and telephone lines. This can help remove the usual process involved in setting up a conventional office, and let you focus on the things. All you need to do is to choose one of the offices for rent in Bryan on this page. Every executive office suite, shared workspace and virtual office boasts a prime business position in Bryan, on flexible rental terms to suit your exact office space requirements.